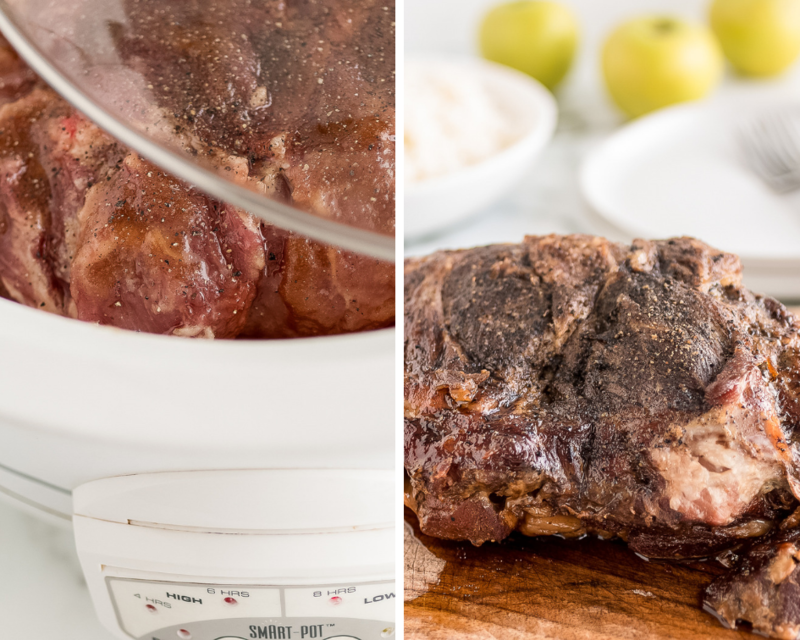 Slow Cooker Teriyaki Pot Roast: a delicious pot roast meal with teriyaki flavor. 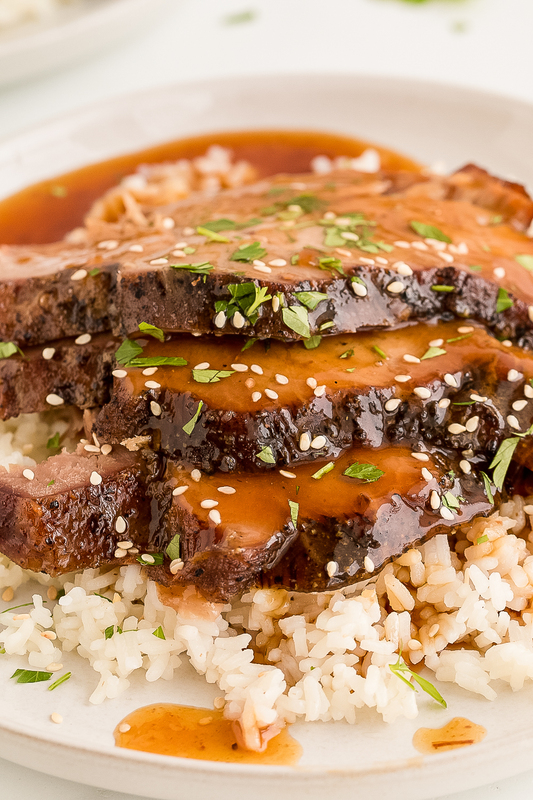 Serve with gravy and white rice for a delicious meal. 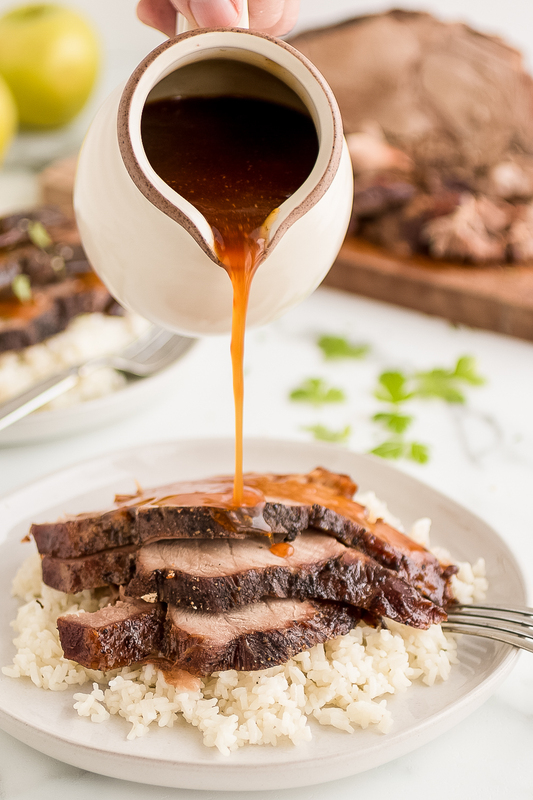 This slow cooker teriyaki pot roast recipe is delicious and perfectly paired with a side salad and white rice. 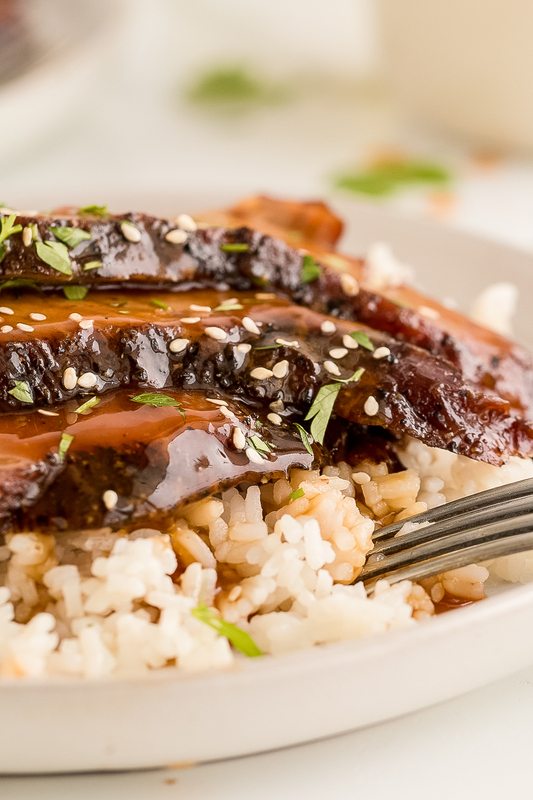 It’s cooked in a delicious mixture of apple juice, soy sauce, and brown sugar. It’s then cooked down to make a simple and flavorful gravy to pour on top. 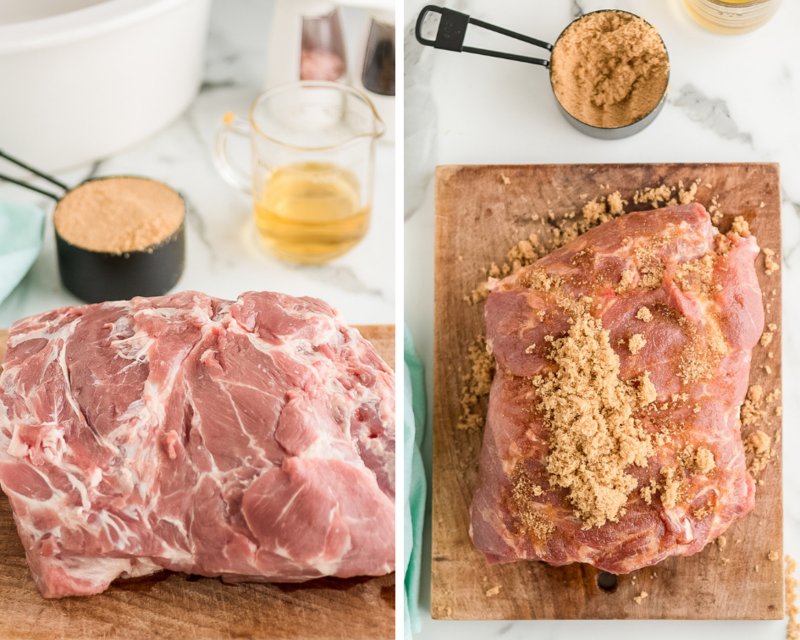 Cut roast in half, if needed; rub with brown sugar. Place in a slow cooker. Pour apple juice and soy sauce over roast. Sprinkle with salt and pepper. Cover and cook on low for 6- 6 ½ hours or until meat is tender. Remove roast, cover and let stand for 15 minutes. Meanwhile, strain juices and return to saucepan. Mix cornstarch and water until smooth; stir into juices. Cover and cook on low for about 15 minutes or until thick, stirring with a whisk. Slice roast and serve with white rice and gravy. You could also prepare this recipe for a freezer friendly meal and prepare it when your ready to serve. Keep all the ingredients in a freezer bag and freeze for up to 6 months. When ready to make it, place it in the refrigerator for 24-48 hours to thaw before placing in slow cooker. I’m interested in this recipe but there are no measurements of the ingredients. Is it possible to send them to me. Thanks!